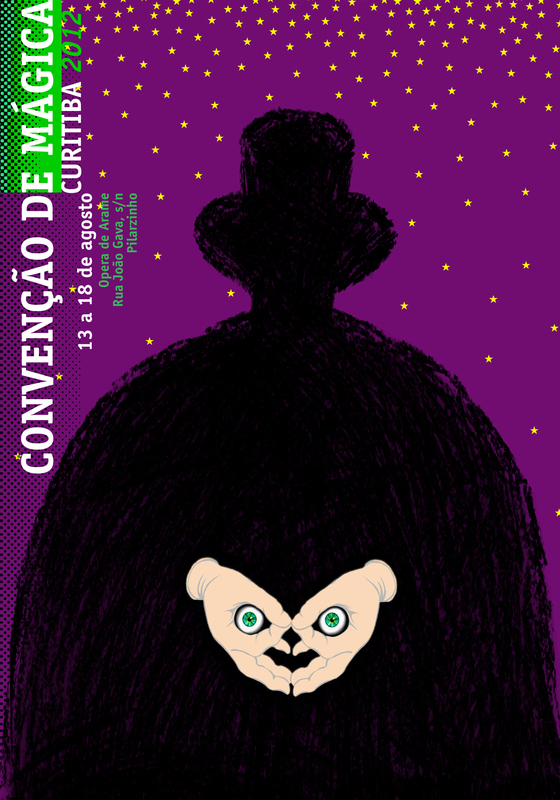 These posters were developed prior to and during Piotr Kunce's Poster Design Workshop in Curitiba (August 2011). 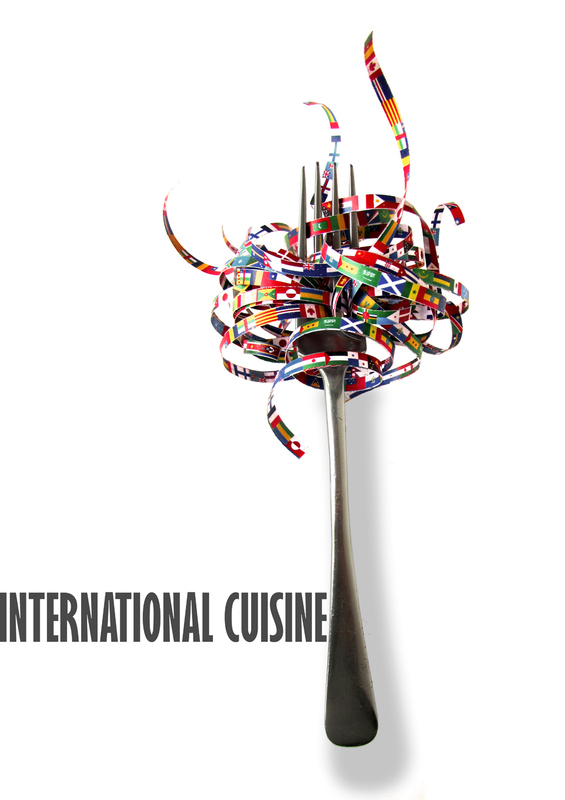 The "International Cuisine" poster was develped on my own and it was considered my "acceptance letter" for Kunce´s Workshop. During the "Magician Convention Poster" design process Piotr Kunce was a superb teacher, who helped me to explore new creative routes and learn more deeply about how to use illustration in posters. Both posters were highly praised by the Polish Design Master. For More information about Piotr Kunce´s work click here. The brief asked for a poster that could be a homage to a chosen international cuisine. My idea was to convey Italian food (specially spaghetti) popularity in the whole world. 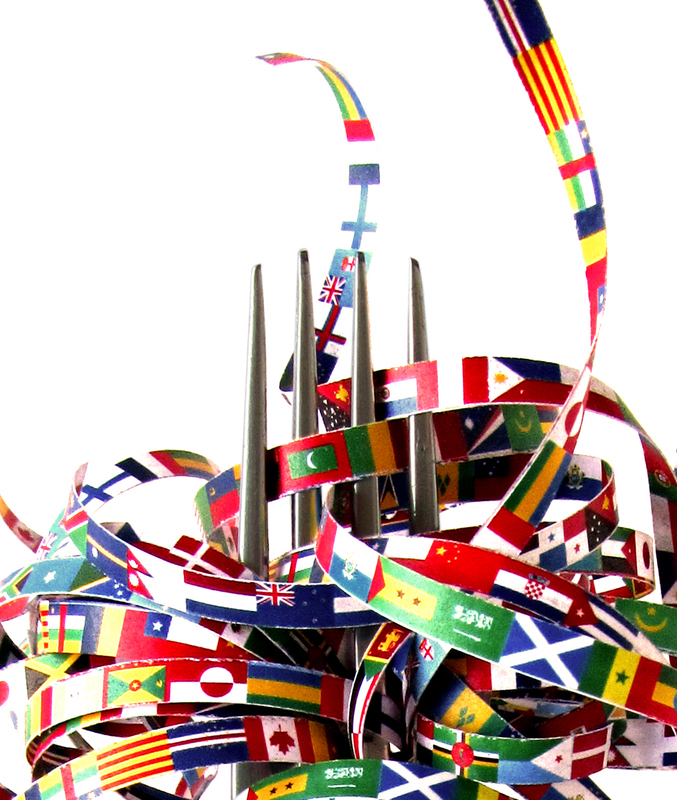 The idea was developed using laser printed flags and some acessories from my home kitchen. From concept to final design, the poster took 8 hours to be designed. 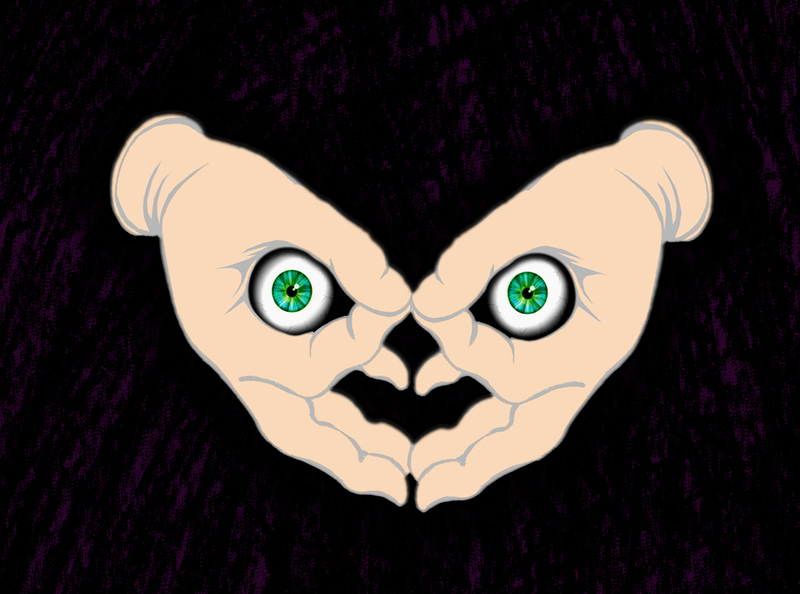 The poster was designed to convey the idea that the magician can use his hands to attract our eyes to any place he wishes. The "spooky" feeling of the magician shadow is balanced by the sweetness of the stars in the background. 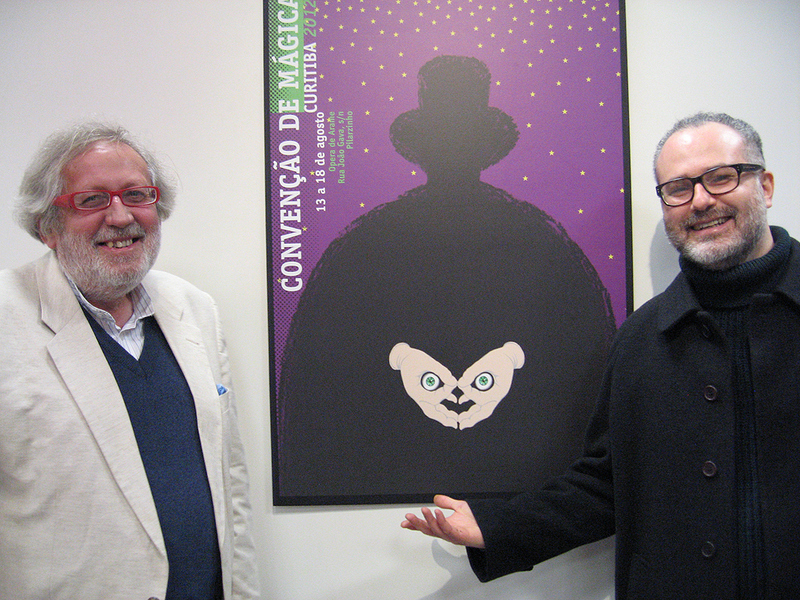 Piotr Kunce and me during the Exhibition at the University PUC-PR.